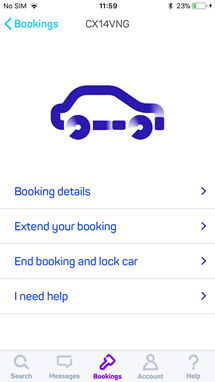 You can request to extend your booking from the app (iOS or Android) in a few simple steps. Go to the “Extend your booking” link in your active booking screen. 2. Enter a new end date & time for your booking, that is, until when you’d like to extend it. 3. You will then be presented with a quote for the extension, and you can edit your payment details if you needed to. 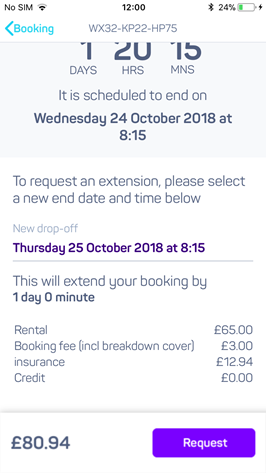 By hitting “Request extension” we will let the owner know that you’d like to extend the booking, so they can accept or decline your request. 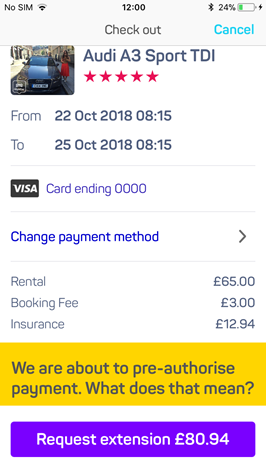 When you submit it, the payment is pre-authorised in the same way as when you make a booking request. 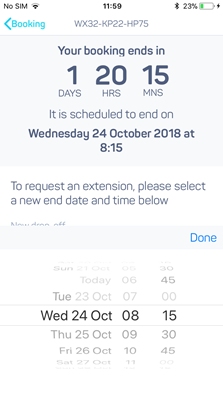 Remember that you can request an extension up till an hour before the booking ends otherwise the owner won’t have enough time to get back to you.